Hollis Shiloh: 2 interviews + a pre-order! Hey guys! Thanks so much to anyone who is buying You Were Always the One! I'm really happy to see that people are interested in reading about Max and Jamie. Or else they just love the beautiful cover art, but I'm cool with that. ;) Anyway, thank you! Here on Chris T. Kat's blog! Here on Books On Silver Wings! 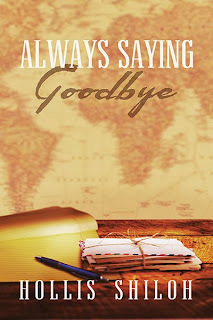 Always Saying Goodbye now has a pre-order page at Less Than Three Press! It will be released in January.